The eligibility criteria are PG degree with 55% marks. It will be relaxed by 5% for the candidates belonging to SC/ST/ BC and differently-abled categories. 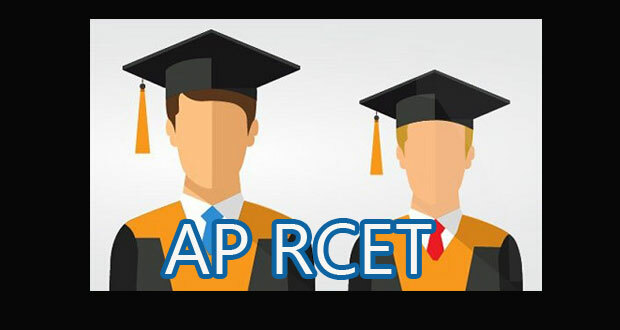 AP RCET 2019 entrance examination is for admission of meritorious candidates into M.Phil and Ph.D programmes under Full-time, Part-time and Extra Mural Research in the following courses such as Pharmacy, Chemical Engg, Mechanical Engg, Electrical and Electronic Engg, Electrical and Communication Engg, Computer sciences and Engg, Civil Engg, Zoology, Statistics, Physics, Microbiology, Mathematics, Geology, Food and Nutritional Sciences, Environmental Science, Chemistry, Botany, Biotechnology, Biochemistry, Aquaculture, Physical Education, Women’s Studies, Telugu, Social Work, Sociology, Sanskrit, Rural Development, Public Administration, Political Science, Mahayana Buddhist studies, M.B.A in Travel and Tourism Management, Legal Studies and Research, Human Resource management, Archaeology, History, Hindi, English, Education, Economics, Business Administration and Commerce. • Candidates of the Foreign nation are also eligible but are required to satisfy the terms recognition and equivalence standards notified by Association of Indian Universities. The fee structure for APRCET 2019 is Rs. 1,400 for General and B.C. and Rs. 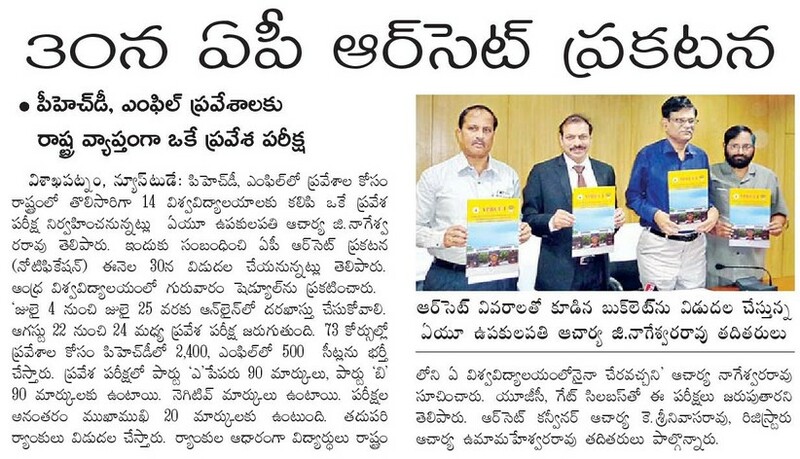 1000.00 for S.C, S.T and PWD candidates. The test will be held online based on the UGC NET syllabus for humanities, CSIR-NET for sciences and GATE for engineering. The qualifying marks is 50% for open category and 45% for SC/ST/BC/PWD candidates. The test will be done for 200 marks of which 20 has been assigned for the interview. The Online examinations would be conducted for 180 marks. In two parts. The Part-A is in the teaching and research aptitude for 90 marks in 90 minutes, whereas part-B is in the subject-specific for 90 marks in 90 minutes. There would be 1/6 negative mark for each wrong answer. Other Details like Notification, Syllabus, Fee, Application Form, Exam Pattern, Exam Dates, Schedule of AP RCET 2019 will be announced soon.